HALL COUNTY, Georgia (WABC) -- A huge truck ended up falling into a massive sinkhole in Georgia on Tuesday. 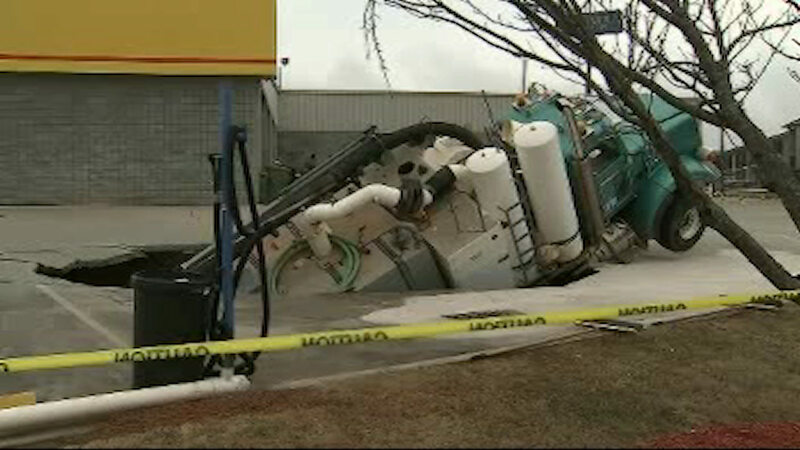 The truck driver was parked outside an auto shop in Hall County when a sinkhole opened up, causing the 55,000 pound truck to fall in it. The truck was carrying 1,600 gallons of water! Fortunately the driver was not hurt, just shaken up by the experience. Now the trouble is how to get the truck full of water out of the hole? Authorities plan to pump the water out of the vehicle, making it lighter and easier to lift up.